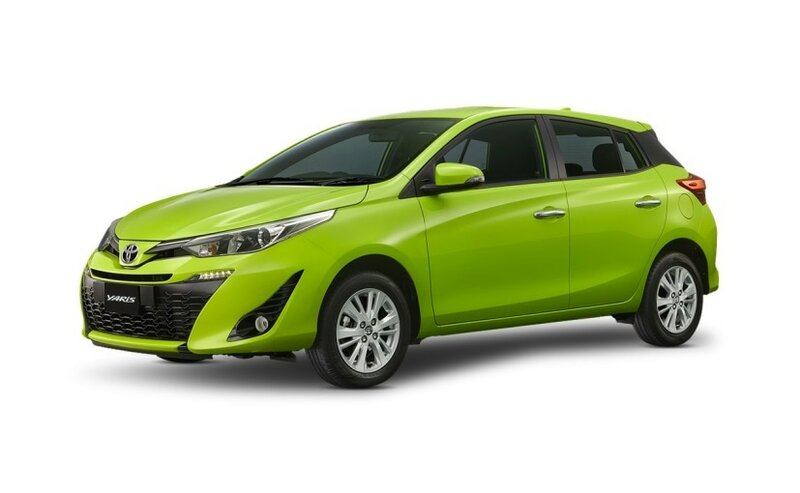 The Asian-spec Toyota Yaris hatchback is already on sale in Thailand and shares several of its styling cues and features with the newly launched Yaris sedan. Toyota today officially confirmed that the company has no plans to launch the Yaris hatchback in India. N Raja, Deputy Managing Director, Toyota Kirloskar Motors announced this earlier today at the launch of the new Yaris sedan. While Raja refrained for giving us a reason, globally the Toyota Yaris hatchback comes with a host of premium offerings that will put the car in the price range of ₹ 10 lakh to ₹ 12 lakh. In a price sensitive market like India, where we have the products like the new Maruti Suzuki Swift and Hyundai Grand i10 starting at almost half of that cost, it won't be a very sensible decision. The Asian-spec Toyota Yaris hatchback is already on sale in Thailand, available at a starting price of 489,000 Baht (almost ₹ 10.35 lakh). There the car is offered in four grades - J Eco, J, E, and G, topping out at 619,000 Baht (over ₹ 13 lakh). The Thai-sped Toyota Yaris hatchback is powered by a 1.2-litre, four-cylinder VVT-i engine that makes about 87 bhp and develops about 108 Nm of peak torque, which comes mated to a CVT-i gearbox as standard. The Yaris hatchback shares most of its styling cue with the Yaris sedan like the projector headlamps with LED position lights, a large black grille with integrates LED daytime running lamps, sharp character lines, similar LED taillamps and more. In fact, the features list is also pretty much similar with offerings like automatic climate control, keyless entry with smart key, electronic power steering, audio system with AM/FM/CD/MP3/WMA with Bluetooth connectivity and more. Even on the safety front, the Yaris hatchback comes with 7 airbags, ABS with EBD, brake assist, vehicle stability control, traction control, hill assist, rear defogger and tyre pressure monitor among others, as standard across the variant list. As for the Toyota Yaris sedan sold in India, the car is offered in only one 108 bhp, 1.5-litre petrol engine that comes with the option of either a 6-speed manual or 7-step CVT-i automatic transmission. Also available in four grades - J, G, V, and VX, the Yaris is loaded with about 9 segment-first features that we have already told you about. Toyota has already sold over 1000 cars in India and the Yaris currently commands a waiting period of up to 2 months. In India, the car rivals the likes of Maruti Suzuki Ciaz, Hyundai Verna, Honda City, Volkswagen Vento and few others.